Workplace regulations, school dress code rules or the desire for privacy can lead to a tattoo enthusiast covering up a tattoo. 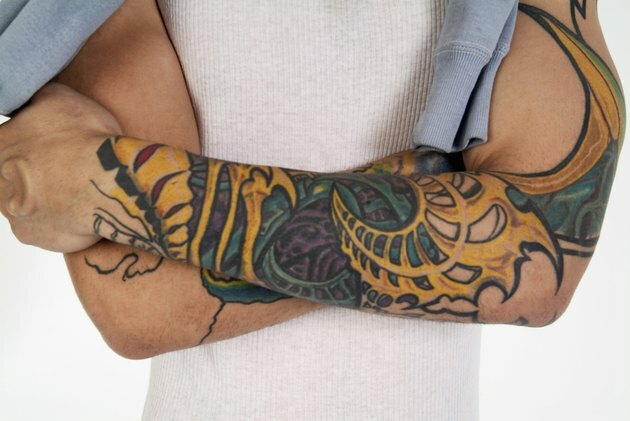 Out of respect for others or fear of rejection in an interview, tattoo enthusiasts cover up tattoos temporarily. Tattoo enthusiasts with tattoos that did not heal well, have shaky line work, shoddy shading or inappropriate subject matter opt for a more permanent cover for the tattoo or laser removal. 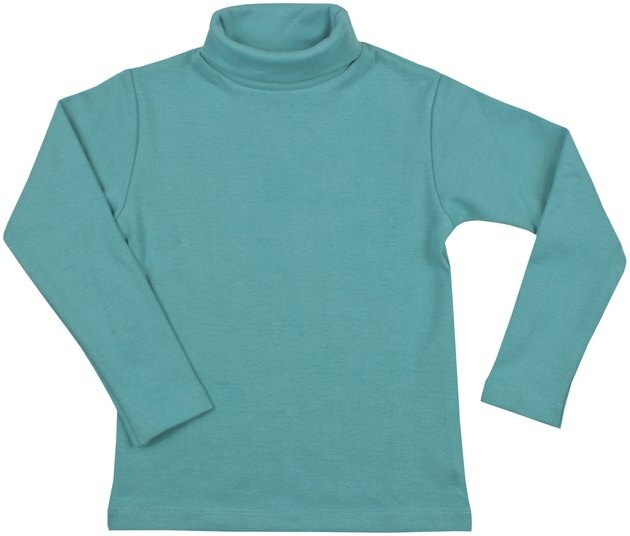 A turtleneck or high-collared shirt disguises tattoos on the back and sides of the neck. Long or ¾ sleeves cover tattoos on the biceps and forearms. For women with tattoos on ankles, calves and thighs, dark tights or knee-length boots hide visible leg tattoos. Long slacks work for both men and women for leg tattoos. An undershirt underneath a dress shirt or dark-colored tank top underneath a sweater reduces the visibility of large, colorful chest and stomach tattoos. A light suit jacket made of cotton during the warm months also helps to conceal bicep, back and forearm tattoos. Hide smaller tattoos on the body with accessories or bandages. A silk scarf tied around the neck conceals tattoos behind the ear or on the sides or back of the neck. Cuff bracelets and watches with thick bands disguise tattoos on the wrist. A wide bangle bracelet on the forearm — pushed up to cover the tattoo — stays over the tattoo in the larger part of the forearm. Rings cover finger tattoos, while a necklace with a large pendant hides a chest tattoo. 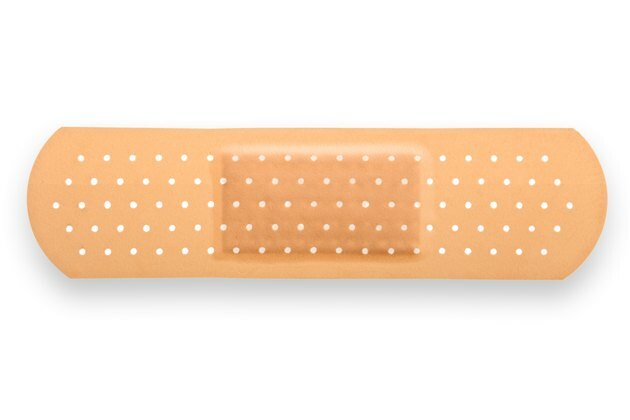 Bandages are an option for covering tattoos on hands, fingers or wrists. However, bandages may spark a conversation about an injury and force you to admit that a tattoo is under the bandage. Several professional makeup lines provide a solution for covering tattoos. The makeup is not waterproof, causing an issue for tattoos on parts of the body such as hands and fingers that are washed repeatedly during the day. The sealer provided with the makeup does make the coverup water resistant, not allowing sweat to damage the makeup. Three of the most popular tattoo coverup makeup lines are Dermablend, Ben Nye and a product from tattoo artist Kat Von D. Tattoo coverup makeup is not the same as liquid foundation. Applying liquid foundation to your tattoo results in the tattoo showing through the makeup. Applying the tattoo coverup makeup is a specific process and may take a couple of trials to perfect the application. 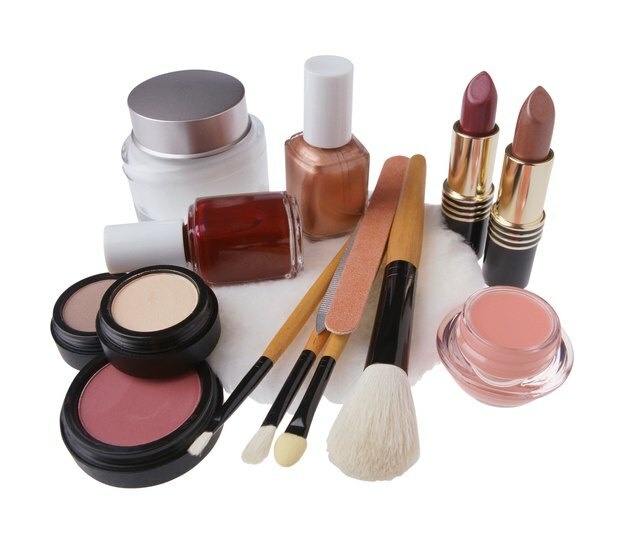 Testing out the makeup a week prior to an interview, first day at a new office or special event will prevent a mishap with the tattoo coverup makeup. What Is the Traditional Dress Color for a Bar Mitzvah? What Are the Causes of Fraying in the Rotator Cuff?